MalPensando Comedy/Club de Comedia Canada is a Toronto comedy enterprise founded in 2014 by award-winning stand up comedians Stephan Dyer and Juan Cajiao. Since its beginning, the company has grown tremendously, and has made a key connection with Art Starts, which paved the way for many amazing milestones. Malpensando is currently hosting public speaking workshops for the Art Starts’ Satellite Workshops 2019, so we figured it was the perfect time to reconnect and ask them a few questions about their journey. How did MalPensando begin and what sparked the idea for creating workshops around comedy? 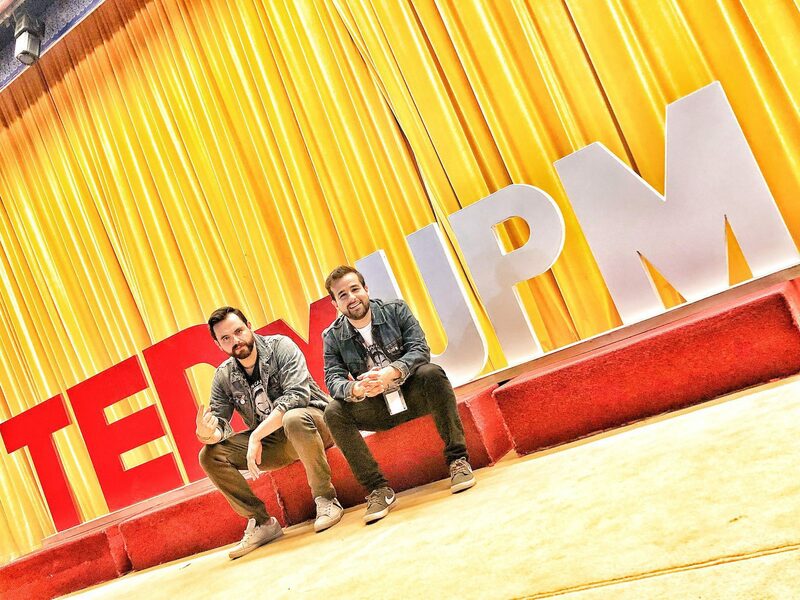 MalPensando first began in September 2014 when our friends from Suah Entertainment invited Stephan Dyer and Juan Cajiao (cofounders) to do stand up comedy at a Latin Open Mic night. While we both had some experience in comedy and public speaking, we had never done stand up comedy. We still went, our show was bad (let’s be honest) but people loved it! At that point, it became very clear to us there was a demand for entertainment IN SPANISH in the Canadian-Hispanic community. A few months later, Isaac Luy, Daniel Ascanio and José Manuel Estrada joined us and MalPensando officially started. The idea for creating workshops around comedy started inadvertently. In late 2016, as the quality of our shows improved significantly, people asked us after shows “How can we learn to do that? How can we overcome the fear of public speaking and make people laugh?” And again, it became clear to us there was a demand in the Canadian-Hispanic community to improve their soft skills and become confident speakers. A few months later, in January 2017, we launched our first “Public Speaking Through Comedy Workshop” in Toronto with 8 students! We loved making people laugh and helping them become funny, authentic, confident speakers SO much that in April 2017, Juan and Stephan both quit their Senior Manager jobs at Scotiabank! It has not been easy but at the same time it’s the best, most rewarding decision we’ve ever made! A few months later, co-founder Isaac Luy also quit his job and now the three of us do this full-time. We’re living the dream. What types of people do you see attending your workshops? Are your workshops taught in both English and Spanish? The people we see attending our workshops come from all walks of life. More than 200 students aged 15 to 75 have completed our workshops over the last 2 years and we’ve seen everything: high school students, university students, professionals, retirees, sales people, introverts, people who just went through a divorce or break up, people who want to meet new people, people who simply want a day off from their loved ones, people who want to be more outgoing, people who want to become comedians and obviously, people who want to improve their public speaking. Good news! 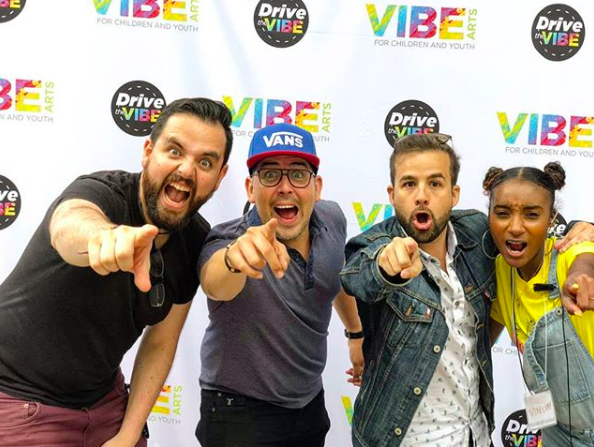 Two months ago, we officially launched our Leadership & Comedy School in Mississauga (our second city after our flagship Toronto). In addition, all courses are now available Spanish AND ENGLISH too! How did your organization first connect with Art Starts? 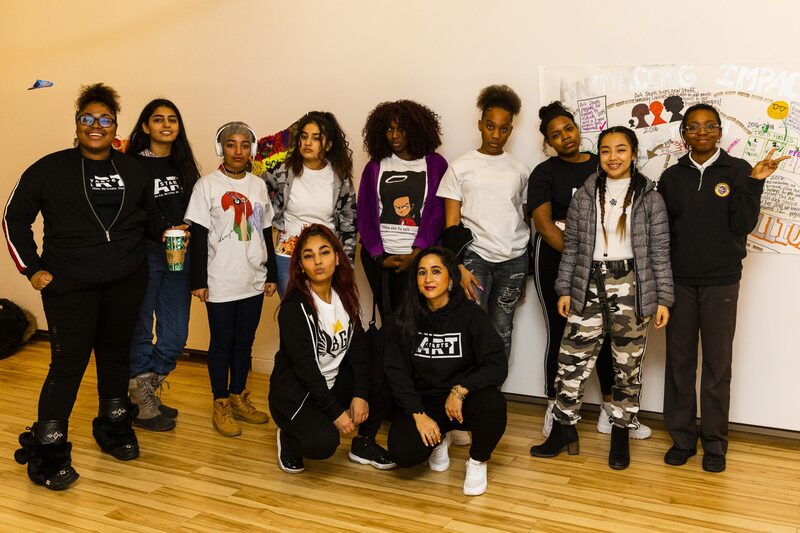 Our organization first connected with Art Starts in 2017 through Julian Carvajal, who has helped us tremendously and whom we are eternally grateful to. 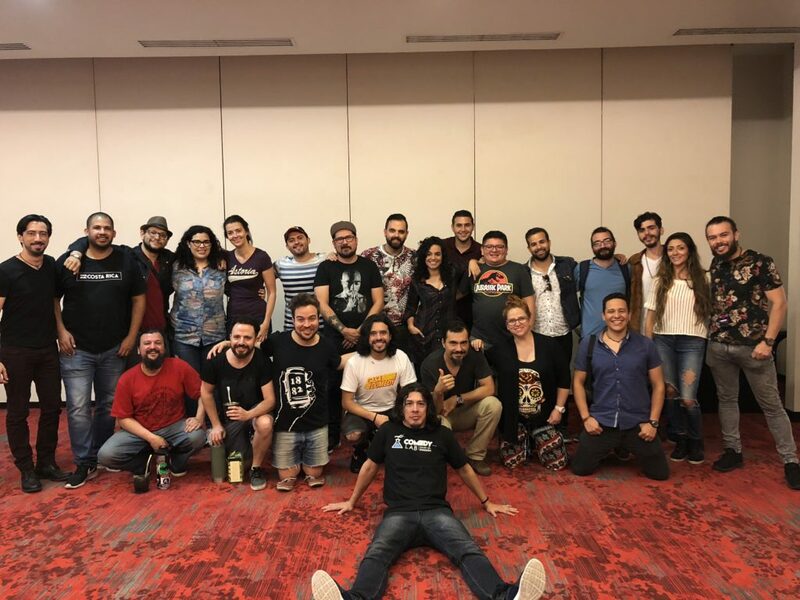 Since Day 1 and in a matter of 3 minutes, Julian shared approximately one billion ideas to improve MalPensando, to take advantage of the funding opportunities out there, he explained Art Starts and many other organizations that are doing great things, and the rest is history! How has Art Starts been able to help MalPensando? Art Starts has helped MalPensando in so many ways it’s difficult to express: from offering us workshop space when we most needed it (we had no space and everywhere in Toronto was hard to afford), to inviting us to the A Show, to Art Starts Symposium, to informing us about TakingIT Global’s Canada Service Corps Grants – which we applied to and won a $750 grant to offer a free “Resume Critique Workshop For Hispanic Newcomers”. 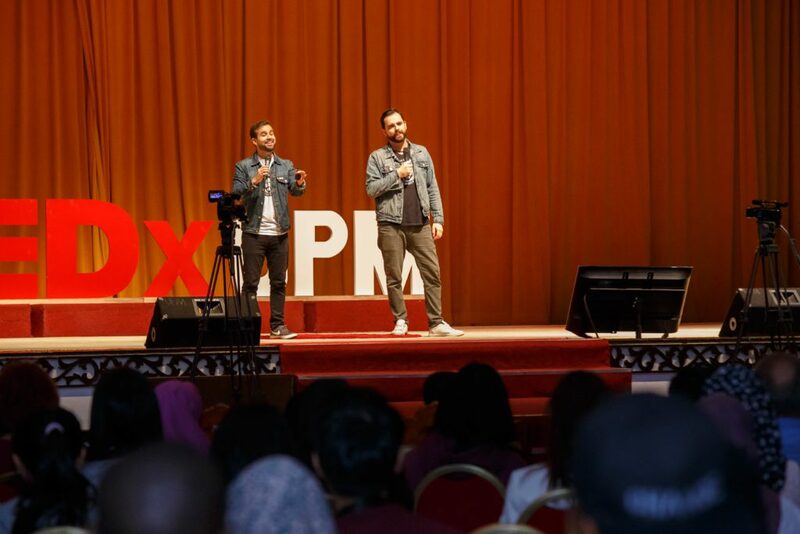 This ended up earning us an invitation to #LeadersToday Global Youth Service Summit the Summer of 2018, where we made a key connection that ended up taking us to Malaysia to do a TEDx Talk on “The Payoffs of Chasing After Your Dreams”! SO grateful! In what ways does MalPensando give back to the Hispanic-Canadian Community? MalPensando gives back to the Hispanic-Canadian community regularly as it is one of our key priorities and core values. Every year we give over $3000 workshop scholarships to Teach2Learn, a charity that helps Hispanic-Canadian Youth-At-Risk better adapt into Canada. In addition, we offer numerous free Leadership workshops on a yearly basis in order to give our community the necessary tools to succeed in today’s Canadian society. Examples of these workshops are “LinkedIn Workshop To Advance Your Career (For Hispanic Newcomers)”, “Resume Critique Workshop For Hispanic Newcomers”, “How To Take Network Effectively”, “The Secrets Behind Getting A Job in Canada”, “How To Be A Master Of Ceremonies”, “Speaking With Confidence”, and coming this summer 2019 “Financial Planning Through Comedy”. What advice would you give someone wanting to start their own business as an artist? Have a product that gives you steady income: for us it was the workshops. Before we quit of jobs, we thought it was the shows that would give us the most money. But no: it’s stable, recurring, 7 week workshops that’s the bread and butter of MalPensando. This could also be a part time job not related to your art. Have a product that is useful for EVERYONE. It became clear to us that less than 1% of the general population want to become comedians. But 100% of the population wants to improve their public speaking. So instead of naming the workshop “Comedy Workshop”, we named it “Public Speaking (through Comedy)”. BOOM – now we have a product people can put on their resumes and convince themselves this is an investment. Enjoy the journey: you won’t become rich and famous overnight. If you do, good for you. Doesn’t happen to 99.99999999% of us. Enjoy every step. Sell all day, every day. You are the face of your product. Don’t forget your social media: post everything there, you never know who’s watching. And also: make your clients your models. Share their accomplishments. What can we expect to see from MalPensando in the future? What people can expect in the future from MalPensando is more leadership and comedy courses available, in person and online. Our goal is to continue to help as many people become funny, confident, authentic leaders. You will see more corporate events and shows in more Canadian cities, in Spanish and English, and in more countries. In 4 years, we’ve done shows in 17 countries. In 10 years, maybe we’ll have visited over 50 countries! In all honesty, what we really want is to make life more fun and to continue to change lives through laughter. Thank you to Stephan Dyer and Juan Cajiao of MalPensando Comedy for sharing their story and inspiring artists to chase their dreams! We are so thrilled to be apart of this company’s journey and look forward to watching them grow. If you’d like to learn more about MalPensando and the workshops they offer, please head over to their website and take a look around.